Take a long look tonight. It may be the last for a while. Helloooooooo, Red Bull fans! Are you ready? Are you prepared? Can you handle the truth? 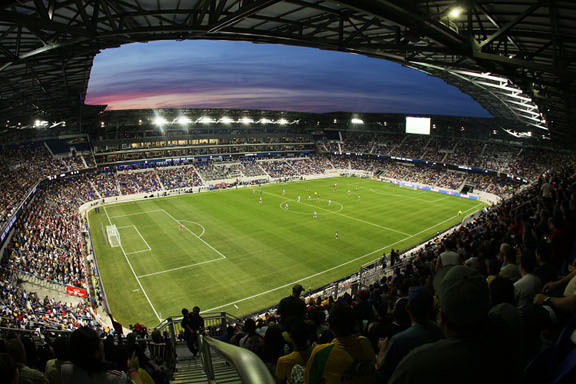 The mighty New York Red Bulls are on the cusp of glory... or doom! A win in this now "sold out" final 2012 regular-season home match, Rocktober classic versus the mighty Wizards Sporks of KC (7:00 pm ET, MSG, match notes can be found here) will be the greatest RBNY victory in modern memory--due mainly to the fact that fans got blackout drunk after an embarrassing display against Chicago and have forgotten the last several games. But that was then and THIS IS NOW! If there is another phrase for MUST WIN, feel free to use it to characterize this battle of great and "great on paper" teams that I can only describe as... MASSIVE! That reminds me, it's your last chance to stop by the Continental Tire Area in the Interactive Zone and participate in the "Cornering Performance Challenge," where participants automatically walk away with a free New York Red Bulls/Continental Tire branded scarf! Historically, Red Bulls are at a slight disadvantage, with a 17-18-10 all-time record against teams hailing from Kansas City. BUT! they are also 10-4-7 at home, for what that's worth. Purported lame-duck head coach Hans Backe says the Red Bulls need to "do something different" against KC this time. Inspiring words, Hans! On the other side, KC will have Team USA midfielder Graham Zusi creating chances for the speedy C.J. Sapong and Kei Kamara. But perhaps the Red Bulls should be more wary of Sporks defender Matt Besler who says "I have a syringe full of Pine-Sol in my sock for Kenny Cooper. *"
*quotes may be entirely fabricated. So, will the puissance française of Gerard Houllier and Jérôme de Bontin carry the day? Will some bizarre exchange between Kei Kamara and his "hero" Thierry Henry result in massive head trauma? Will RBNY fans flood the PATH with tears or rip down Harrison station with joy? Let's see what the Viper's Nest experts have to say! As the Red Bulls have shown they can't hang with the best teams in the League (and KC certainly is one of those) how can anyone (realistically) predict anything but a loss? If the previous RBNY home fixture, against SKC, was any indication on how events are bound to unfold in this one, the outcome is very predictable. The Red Bulls will, more than likely, be shut-out by SKC's stingy defense and will give up one or two goals early. Of course, anything can happen and best case scenario the Red Bulls will come out of this one with 3 points. As a sane individual, however, I would not put a Tenner on that happening. I can only hope our glorious FC can manage a draw. That said, (and again, as a sane individual) I can't see that happening. I will predict another horror RBNY loss here (which will make next week's fixture @Philadelphia BEYOND MASSIVE). 2-0 to Sporting Kansas City. We've been flat out awful against KC in our two previous meetings. We don't seem to have an answer for their high press, and I don't see that getting any better on Saturday given the injury problems and other issues on our back line. We will let in a dumb goal or two and find ourselves staring a must-win game in Philly square in the face a week from now. 2-0 to KC as they roll over the league's most gutless team. I must concur with mis compadres. Unless Lloyd Sam exceeds his last outing and puts on a legendary display, I see a 2-nil loss for Los Toros Rojos. I can already feel the Henry eye rolls. I suppose my well established role is to provide boundless positivity and willfully irrational optimism bordering on the delusional. With such persona in place, I am predicting a season-defining victory that will not only ensure our playoff spot with a match to spare, it will set the tone for a run to the MLS Cup. The frustration of last month's 0-2 loss has had the opposite effect on much of our fractured and fragile fanbase, so expectations are lower than justifiable for a home match. But we forget that until recently our Cathedral has been a fortress. And we also forget that just a few weeks prior, without our talisman (left home with his newborn son) we stumbled away a late victory to still secure a point at the surely-soon-to-be-renamed Livestrong. It is tough in any league to beat a team twice in one season. So my money's on the best paid squad in MLS to level the season series at 1-1-1. The pre-match tribute to Jonesy will inspire squad and supporters alike, their black armbands and the #6 on their shorts a reminder throughout the match that this club means so very much to so many throughout the Metro region. Henry won't let his charges give anything less than maximum effort and Hans won't let this be bye-bye to the Big Apple. 3-1, with our captain scoring twice. 0-3. SKC will crush us. 1st KC goal comes in the 5th minute. Let's face it this season is lost. What more can be said? Win or lose, we'll see you in Philly! COME! ON! YOU! RED! BULLS!